M.A.T.S.S. provides fun, theme-play evenings for kids-- ages 2-10 years old. They are usually held on Friday evenings, include a snack or light dinner, crafts, gym-time and so much more! ... and an opportunity for the adults to go and enjoy some adult time too! 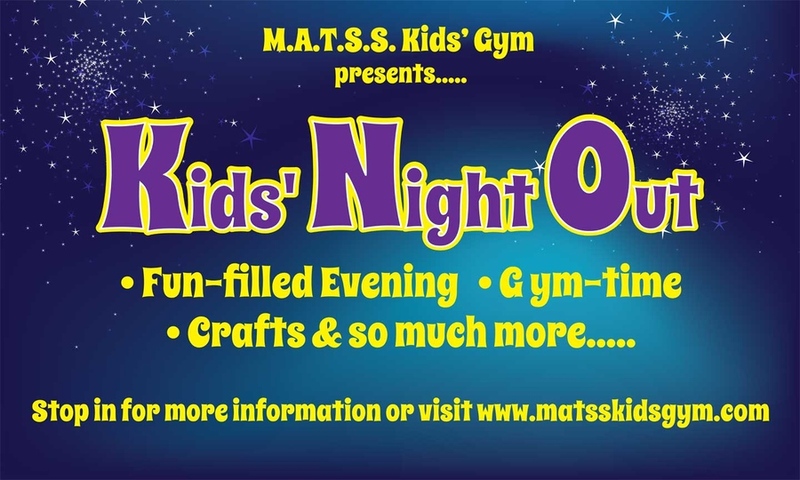 Stay Tuned.... for Kid's Night Out announcements! Check out a location nearest you for their event offering flyers.